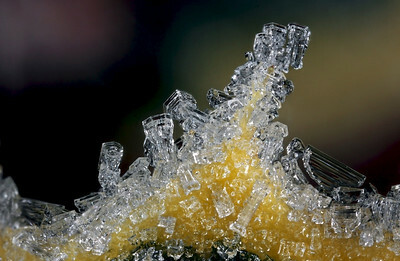 Ice cristals on a small leaf. Focusstacking has been applied using 3 photo's. Each has been made without a tripod using magnification factor 3 and f/16. 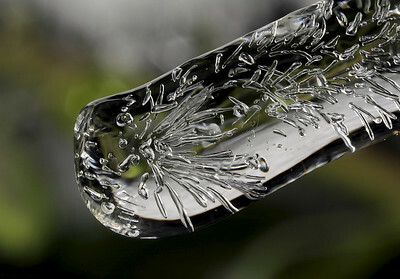 Icicle with small air bubbles. To obtain a larger sharpness area, focusstacking with 5 photo's has been used. Each photo has been made without tripod with magnification factor 3 en f/16. 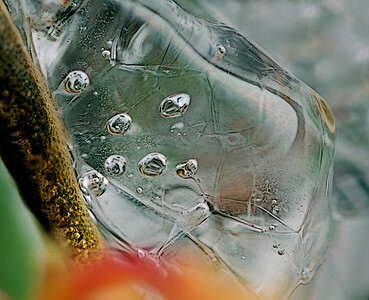 Still live of a small neadle of ice. Focusstacking using three photos has been applied to obtain a larger area of sharpness. Each photo has been made with magnification factor 2.5 and f/16. 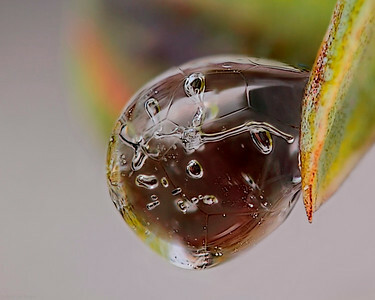 Frozen droplet hanging from a leaflet. Focusstacking to obtain a larger sharpness area has been applied using 7 pictures. Each picture has been made with magnification factor 8 and f/8. 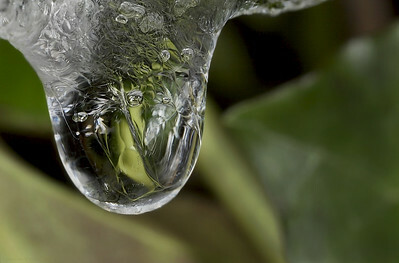 Frozen droplet attached to a small branch. 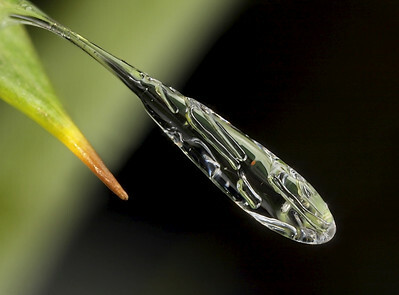 The height of the droplet is around 2 mm and the width around 1 mm.. Focusstacking to obtain a larger sharpness area has been applied using 6 pictures. Each picture has been made with magnification factor 8 and f/8.